For those of you that have been told that you can't wax your car until 6 months after your freshly painted car has been done, guess again. 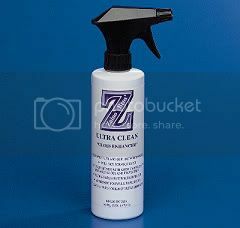 Zaino makes an awesome breathable show car wax that you can apply immediately after your car has been painted. Regular store bought waxes use a lot of synthetics that can be deadly to new paint. Zaino does not use these synthetics. They have a full product line but the only ones I will be reviewing are the Z2 and Z6 products. $15 doesn't seem that bad right? Well you only get an 8oz bottle of it, but they claim that one bottle of that stuff should be able to do a big body Corvette up to 20 times. This stuff is very concentrated so you have to use it very sparingly and really spread it out. It goes on very easily. I purchased their applicator pads for $2.50 and you get two of them, so I would definitely recommend going that route. You do not even have to rub this stuff in hard. It only took me about 45min to do my whole car. The only slight downside to this is that you have to let the whole car dry before you can even think about taking it off. I left mine in the shade for about an hour and a half but since it was so humid outside it still wasnt dry, therefore I pulled it outside in the sun and it dried in about 30 min after that. Zaino recommends you leave the car in the sun to dry that way it ensures the stuff fully sets up. Then just buff it off with a 100% Cotton Towel. I went to Kohl's and found the softest towels they had in the store which were made by Chaps. Three towels were $26, which isnt bad for the extra insurance of knowing it won't scratch your paint. The stuff came off as easily as it went on, just always remember to be sure that it has dried all the way. If it's not dry it will just smear. Overall this is awesome stuff, and the more coats you put on the deeper, glossier, slicker your paint will look. Just the initial coat made my jaw drop. I plan to do another one to two coats this weekend and I will post up some more pics. You get a 16oz bottle of this stuff, but it is also extremely concentrated so a 1/2oz should be able to do a whole car. This is basically a quick detailer, polish enhancer, and protector all in one. 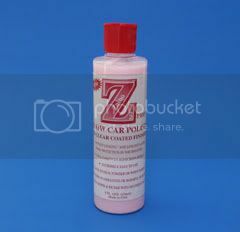 Before applying your Z2 Polish be sure to spray some of this stuff on your applicator and it will help with application of the polish. This stuff goes on just the same as any other detailer; spray in a 1ft sq area and wipe off with the same kind of towel that you used to remove the Z2 polish. Then flip the towel to a dry side to buff and give a cleaner look. I went over the whole car with this stuff after I buffed the polish and it gave it an even wetter look. The pictures speak for themselves. 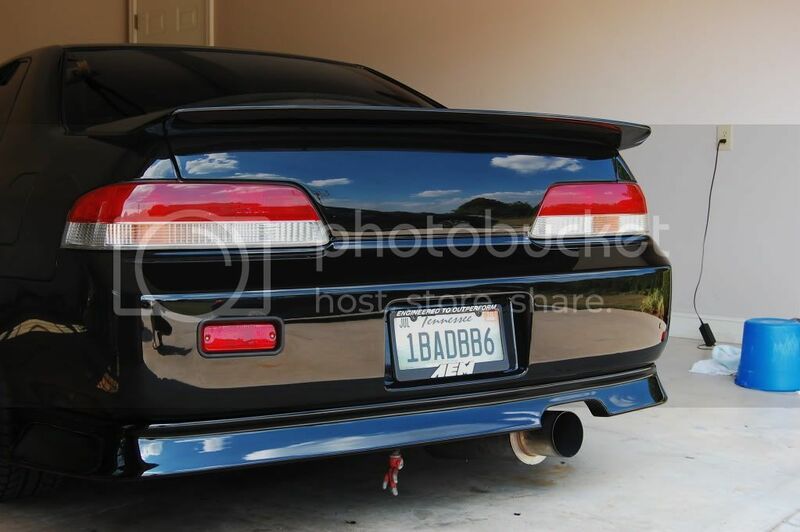 Damn, I guess I know what I'll be purchasing when the lude gets its first REAL detail. Hey just curious here. I'm trying to research whether this would be as good or better than a cut and buff. Maybe follow a cut and buff with an application of this stuff? Sorry if I hijack the thread but it makes sense to me to post here since I'm trying to do a comparison. Remember kids. You're unique just like everyone else. You are supposed to put this specific product on paint that is clean, they recommend washing your car with dish detergent before putting this wax on for vehicles that are older and have many coats of whatever wax was used before. they have many other products that include clay bars and swirl removers, but i obviously didnt need them since my paint is fresh. Check their website out and read up on the different stuff they have. As far as it being better than a cut and buff i'm really not sure. DONT Cut & Buff, its too risky. If you want to do that, at least give this Zaino product a try first. Its absolutely amazing. I used it bumper to bumper BY HAND on my black GMC Sierra with enough swirls to make you wanna cry. The paint looked as deep as a pool of black ink afterwards. I've been using Zaino for years and years, every car I've had has been done with their products, except on the Prelude I just got (I'm getting it painted first.) I could go on and on about their products but check their Customer Photos and Testimonials pages, they do a much better job than I will. If you're wondering why you haven't heard about Zaino, its because their marketing is ALL word-of-mouth. They have tons of rep on other online forums, I found them on LS1.com when I had my Trans Am. It seems like very few people have heard of them on this forum so I guess I'll spread the word! Thats exactly what I used on my truck, and what I would have recommended to you. They ship fast and your box will come with some very detailed printouts of exactly what to do. Just one more word of advice - get the BEST USA-MADE white cotton towels you can, and cut off all the borders. Theres a lot of info on their site about that too...basically it has to do with stray fibers in the manufacturing process that can re-scratch your car, and the borders containing synthetic fibers in the stitching that do the same. Cut & buff is only risky if you don't know what you're doing. But having said that, most people don't, and a product that could avoid that process could be of use to them. Brash, you have a point, and I have seen some great paint jobs after expert wet-sanding, but I would have a really hard time trusting someone to sand the paint on my car because of all the horror stories I've heard. I'm fairly sure on a 4th or 5th gen, which are relatively new cars, it wouldn't be necessary. Much too abrasive for the kind of damage that typically accumulates over that amount of time IMO. Of course its all subjective...I have a '66 Pontiac Bonneville I'm selling with a really beautiful original metallic blue color, but the paint has heavy scratch patterns throughout. But the paint must have just been thicker back then, because I have plenty of depth to play with and I will be getting that car wet-sanded and buffed to get it into showroom condition. But on any newer car the ZPC is just magic. There were ZERO swirls on my black 2007 truck after I finished it (of course that didn't last, lol) but it was like starting with a brand new paint job so I could baby the truck with all the rest of the Zaino polishes from then on. It looked SICK after that, it just glittered...so much so that it got stolen a few weeks later.